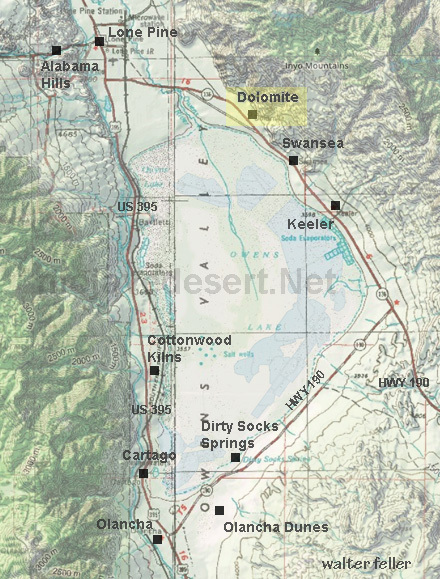 Private town located between Lone Pine and Keeler, Ca., named after the mineral which is still being mined there. Although it appears to be authentic, it is not. 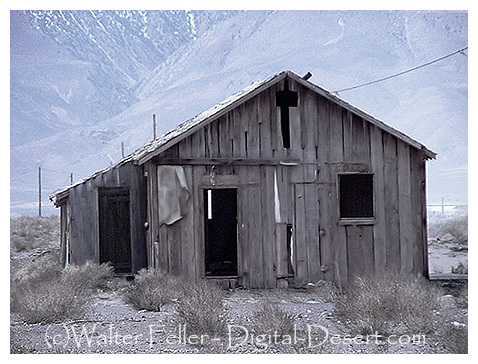 It was originally built as a set for the movie, Nevada Smith, starring Steve McQueen.